O2 has decided the world needs to be more connected, releasing Broadband Home and Away, which includes 3G, WiFi and home broadband. 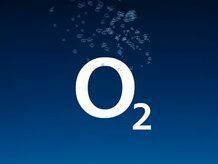 For £20 per month, O2 gives the user gets 3GB of data, free WiFi and home broadband free for a year (after which a charge of at least £7.50 a month is added on for six months, if on an 18-month deal). For those that use the internet everywhere and anywhere, this deal allows mobile internet either through the free 3G dongle or WiFi, so pretty much and always on connection is being offered by O2. For the home, O2 is offering free 8MB broadband for a year as part of the deal, though if the user takes out the 18-month contract necessary for the free dongle, six months of internet access will need to be paid for. However, O2 is also offering the chance to pay £99 up front, and taking the deal on a month by month contract. So if you're not into lockdowns, then that could be the option for you. O2 will also begin offering a Broadband Takeaway option, which costs £30, charged from the first bill, and is basically a box with a router in that O2 claims will allow broadband to be set up in four easy steps. Broadband Home and Away is available now, and Broadband take away will be coming this August.